Torino's poor record against AC Milan continued as they fell to a narrow defeat at the San Siro on Saturday evening. Giampiero Ventura started with Davide Zappacosta and Bruno Peres on each wing, a combination which worked well in Toro's last away game against Palermo - whilst Ciro Immobile and Andrea Belotti once again started up front. Toro were inches away from being awarded a penalty in the opening moments, but Milan's teenage goalkeeper Gianluigi Donnarumma timed his challenge on an onrushing Bruno Peres perfectly. At the other end, AC Milan came so close to taking the lead when Keisuke Honda hit the bar with a free kick from 25 yards. Ciro Immobile should have gave Toro the lead, but he fired wide of the target when one-on-one with Donnarumma. Giacomo Bonaventura forced a great save from Daniele Padelli after a shot from just outside the area, but Milan took the lead from the resulting corner. Toro failed to deal with the first ball, and it was the unlikely figure of left back Luca Antonelli who swivelled and fired past Padelli with the composure of a striker. The Granata dominated possession for large periods of the second half, but only had one significant chance when Ciro Immobile's volley was turned round the post by the youngster Donnarumma. Therefore, despite a performance with a number of positives, Toro fell to defeat against one of the 'bigger' sides in the division once again. 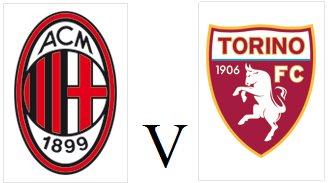 Torino will look to end their miserable recent record against AC Milan when they travel to the San Siro on Saturday evening. The Granata have not beat the rossoneri since November 2001 when a goal from Cristiano Lucarelli gave Toro all three points. Marco Benassi is suspended so Afriyie Acquah should replace the midfielder, whilst Davide Zappacosta could also come into the starting eleven. The home side have been in good form as of late, as highlighted by an impressive 1-1 draw against title challengers Napoli on Monday night. Milan are currently on an eight match unbeaten run, with their last defeat coming against Bologna on January 6th. Torino's disappointing home form continued as they were held to a 0-0 draw by relegation threatened Carpi on Sunday afternoon. The Granata made only one change from the team who beat Palermo last weekend, as Gaston Silva replaced Davide Zappacosta in defence. Andrea Belotti came close to giving Toro the lead, but his header from Bruno Peres' cross was well saved by Vid Belec. The former Palermo man was only inches away from scoring moments later, but couldn't connect with Ciro Immobile's left wing cross. A mesmerising run from Daniele Baselli had the home fans on their feet, but unfortunately the finish was weak and off target. Daniele Baselli and Ciro Immobile both should have done better in the second half when well place, with the former being particularly guilty of a poor miss as he blazed over the bar. With thirteen minutes remaining, Toro had the perfect chance to open the scoring when Andrea Belotti was upended in the area. However, substitute Maxi Lopez saw his penalty saved by Vid Belec as Carpi held on for a point. Torino will look to build on their impressive victory at Palermo last time out when they face Carpi at home on Sunday afternoon. With reduced ticket prices, the Stadio Olimpico should be close to capacity and Giampiero Ventura may chose to name an unnamed side from last weekend. Ciro Immobile will be looking for yet another impressive performance to boost his international claims, whilst Captain Kamil Glik is still looking for his first goal of the season. Carpi need points quickly if they are going avoid relegation in their debut Serie A season, and are currently in 19th place, six points away from safety. 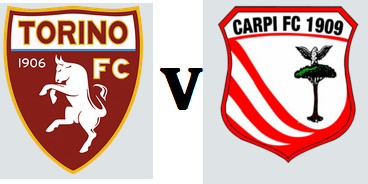 However, as Toro fans are all too aware, Carpi's first ever Serie A victory was against the Granata in October - a game which had Torino won, would have seen them go top of the table. Torino recorded their first away victory since November as an inspired performance by Ciro Immobile lit up the Granata's Valentine's Day trip to Palermo. Giampiero Ventura started with Bruno Peres and Davide Zappacosta on each wing for the first time this season, whilst Giuseppe Vives was preferred to Alessandro Gazzi in midfield. Toro made the worst possible start and were behind within two minutes when Alberto Gilardino converted Michel Morganella's low cross. However, Torino were level less than twenty minutes later when Ciro Immobile was upended in the area by Andrea Rispoli. Immobile stepped up to take it himself to take the penalty, and although Stefano Sorrentino went the right way, the former Dortmund man converted to equalise. Andrea Belotti missed two great chances to score against his former team, although Toro did not have to wait long to take the lead. On the half hour mark, Bruno Peres' vicious cross was diverted into his own net by the unfortunate Giancarlo Gonzalez. Substitute goalkeeper Fabrizio Alastra kept the home side in it, with second half saves from Marco Benassi and Ciro Immobile. However, with twenty minutes remaining, Immobile collected the ball on the left wing before driving into the box and finishing high into the roof of the net to seal an important win. 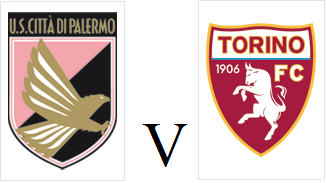 Torino will look to end their miserable recent run when they travel to Sicily to face Palermo on Sunday afternoon. Former Palermo favourite Andrea Belotti will be looking to add to his impressive record of five goals in his last six games since the arrival of Ciro Immobile. Immobile himself has only scored once, a penalty since signing on loan, and he will be looking to add to that tally in order to force himself into Italy's Euro 2016 squad. Palermo have suffered an embarrassing week after it turned out that coach Guillermo Barros Schelotto did not have the requisite coaching badges, and has since been replaced by Giovanni Bosi. The rosanero are currently only four points away from the bottom three, and will be looking for points quickly to ensure they are not dragged into a relegation battle. Torino's poor recent form continued with a disappointing 2-1 defeat at home to Chievo on Sunday afternoon. Ciro Immobile returned to the starting eleven, whilst there were also starts for Bruno Peres, Danilo Avelar and Joel Obi. Marco Benassi tried his luck from long distance in the early stages, but his effort was tipped over the bar by Andrea Seculin. However Toro were ahead moments later when Ciro Immobile's left wing cross was finished exquisitely by Benassi's powerful side-foot finish. Ciro Immobile had a great chance to double Torino's lead, but he blazed the ball over the bar following Dario Dainelli's poor clearance. And the Granata were made to pay for that miss as Bruno Peres turned the ball into his own net ten minutes before half time. At the beginning of the second half, Roberto Inglese's ambitious volley from a difficult angle forced a save from Daniele Padelli. With twenty minutes remaining, Chievo were awarded a penalty when Danilo Avelar was penalised for a trip on Lucas Castro. Former Toro player Valter Birsa sent Daniele Padelli the wrong way to give Chievo the lead. Ciro Immobile had Toro's best chance to earn a point for Toro, but his effort hit the side netting as they slipped to yet another home defeat. 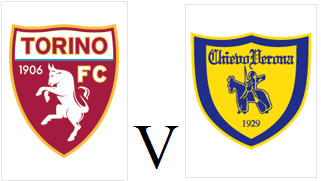 With only one win in their last nine matches, Torino will be looking to improve that statistic when they host Chievo on Sunday afternoon. Toro will be without the suspended Daniele Baselli, whilst Afriyie Acquah and Josef Martinez will both miss out due to injury. Despite making a bright start to the season, Chievo have struggled in recent weeks and have lost their last three matches. Andrea Belotti scored with the last kick of the game as Torino twice came from behind to earn a deserved point in Genoa. Giampiero Ventura surprised many by leaving Bruno Peres and Ciro Immobile on the bench, with Davide Zappacosta and Josef Martinez being preferred. Venezuelan striker Martinez almost made amends for his late miss against Hellas Verona as his ambitious 30 yard effort had to be turned round the post by Emiliano Viviano. Afriyie Acquah had Toro's next opportunity as the Ghanaian won the ball on half way before driving forward and forcing a save from Viviano, although a pass to the unmarked Andrea Belotti was perhaps the better option. The home side took the lead against the run of play twenty minutes into the second half when Toro switched off after a corner, and Luis Muriel headed home Dodo's cross. Toro responded immediately, as substitute Ciro Immobile's ran down the left wing and produced a low cross which was turned in by Andrea Belotti. Immobile then missed a one one chance himself moments later, but the former Dortmund man failed in his attempt to round Viviano. With only six minutes remaining, the home side thought they had earned all three points when Roberto Soriano scored a lovely curling effort from just outside the area. However, in the dying seconds, Ciro Immobile was once again the provider as his cross was headed home by Belotti to cue wild celebrations from the travelling support. 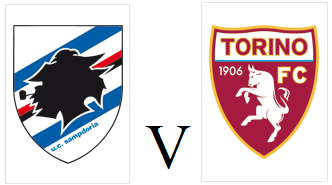 Torino will look to win their first away game since November when they face struggling Sampdoria on Wednesday night. The Granata will be able to recall Kamil Glik and Giuseppe Vives who were both suspended against Hellas, whilst Daniele Baselli could start after impressing as a substitute on Sunday. The home side have lost their last four games and are sliding down the table, although striker Fabio Quagliarella who signed for the club on Monday from Torino could be included. As expected, Torino striker Fabio Quagliarella has completed a deadline day move to former club Sampdoria. The Italian international had enjoyed a positive return to the club he started his career with, and ended last season with 13 goals in 33 appearances. However, Quagliarella's relationship with the Torino supporters suffered what turned out to be irreparable damage when he appeared to apologise to Napoli fans after scoring against them. Despite numerous attempts to apologise to the supporters, Quagliarella never wore a Torino shirt again after that night in Naples. In some respects, it is rather unfortunate that a player who scored the winning goal in Toro's first derby victory in 20 years will not be remembered fondly. However, Quagliarella's decision not to celebrate that goal may have been an early sign of what was to come. Elsewhere, Toro have signed a pre contract deal with Argentine striker Lucas Boyė who will join the club in July from River Plate. Fringe players Sanjin Prcic and Vasyl Pryima have joined Perugia and Frosinone on loan deals. Torino dropped points at home once again as they drew 0-0 with bottom-placed Hellas in a game which will long be remembered for Josef Martinez's late miss. As expected, Pontus Jansson and Giuseppe Vives came back into the team, whilst Marco Benassi was preferred to Daniele Baselli in midfield. There was also a surprise in goal as Daniele Padelli returned after a two game absence and replaced Salvador Ichazo. Padelli was forced into action early on as he had to react quickly to deny Artur Ionita's long range effort. Toro created opportunities in the first half, but both Andrea Belotti and Marco Benassi were denied by Pierluigi Gollini in the Hellas goal. Luca Toni missed a late header for the away side, whilst Ciro Immobile also wasted two good chances for Toro. However in injury time, substitute Josef Martinez capitalised on some hesitant defending and beat Gollini to the ball, lifted it over him, but somehow failed to find the target. In fairness to the Venezuelan, he was off balance and was probably being fouled - however, he should of scored. Torino's recent form continues to be a worry, and they have only won once (against Frosinone) since November. The Granata will have an opportunity to make up for this poor performance on Wednesday when they face a trip to Sampdoria.